Large - $60.99 Only 3 left! Why settle for turning your child into just a regular ninja? Sure, ninja are super cool because they use things like shuriken and deadly roundhouse kicks to take down the bad guys, but what if we told you that there’s more. Your kid could be a ninja with a super cool jumpsuit and maybe a few magical powers thrown into the mix? Why not? Preston Tien, the Blue Ranger from Power Rangers Ninja Steel, has all of those qualities and more! That’s right, Preston Tien doesn’t just settle for regular old ninja moves. As cool as they are, he’s decided to branch out a little by being a magician AND a Power Ranger alongside being a ninja. Not only does he use some ninja flips and round kicks to fight against baddies, but he also can use real magic when fighting Galvanax’s evil cronies. To top it all off, he even drives a dragon-shaped Zord. He’s totally going above and beyond his duties as a ninja! 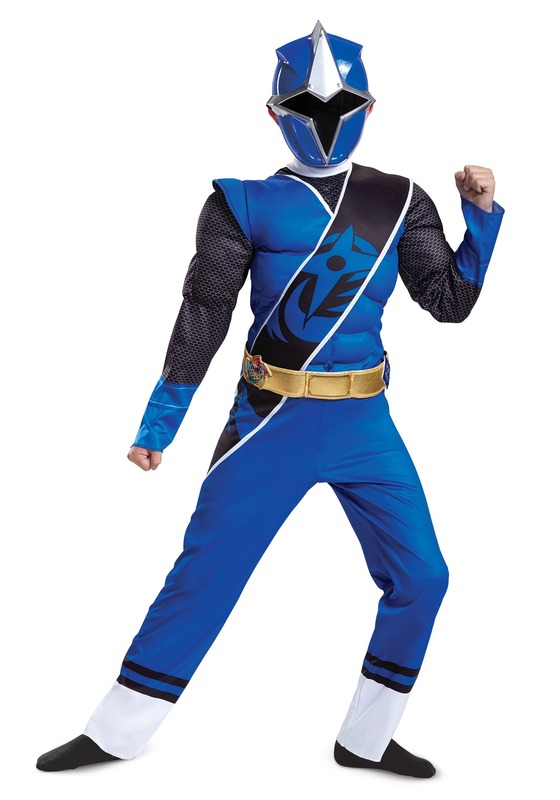 Your child could be a little bit more like him just by wearing this Blue Ranger Ninja Steel costume. It comes with a blue jumpsuit with a black and blue sash attached around the shoulder. It also comes with a gold belt that fits around the waist. And since no Power Ranger, or ninja for that matter, would head into battle without a mask, this costume conveniently comes with a mask shaped like the Blue Ranger’s helmet from the show. Also, it might be time for you to start checking the local garage sales for a Mega Zord. Your child definitely want to pilot one after he gets all geared up in this costume.